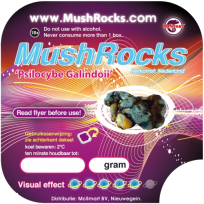 Buy magic truffles Galindoii - Selling magic trips for over a decade! The Psilocybe Galindoii is a mysterious sclerotia producing strain. First identified as the Psilocybe Atlantis but after further research it was given the name p.galindoi or Galindoi. This Magic Truffle will bring you to visual heights! Open and close eyed visuals can be experienced! Galindoi Truffles are known as mild to strong Truffles. In lower doses, they are suitable for beginners.